At only 16-years-old, Jackson Guthy has already captivated America on The Ellen DeGeneres Show, toured with Big Time Rush and One Direction, and joined forces with major label, Universal Republic Records. However, as far as the singer / songwriter is concerned, there’s still a lot more to accomplish. It’s an ambitious goal, but Jackson has been working toward achieving it since the age of four when his older sister lost interest in her piano lessons and he picked them up. At the encouragement of his parents, the Southern California native immersed himself in various instruments. Within a few years, he was already writing his own songs at an impressive and prolific rate. Soon, he began performing live locally and turning heads within the music industry. Shortly after his fifteenth birthday, his music landed on Ellen DeGeneres’ desk, and she dropped him a call—literally. His live rendition of original track “LOVING” enchanted audiences, and press and fans alike became enamored with the young performer. Opening the Big Time Rush “Better With U” tour alongside One Direction solidified him as a live performer. After returning from thistour in 2012 and delivering a jaw dropping performance at the legendary Radio City Music Hall, Universal Republic signed Guthy. His debut single on Universal Republic, “One of These Days” fuses upbeat pop with a fresh swagger, and it’s the perfect introduction to his style. Guthy co-wrote the tune with Hot Chelle Rae’s Nash Overstreet and Brian Kennedy [Chris Brown, Rihanna] while Dewain Whitmore [Kelly Clarkson] produced it. Sailing from energetic handclaps into sun-soaked guitar, “One of These Days” makes for an invigorating and infectious anthem. 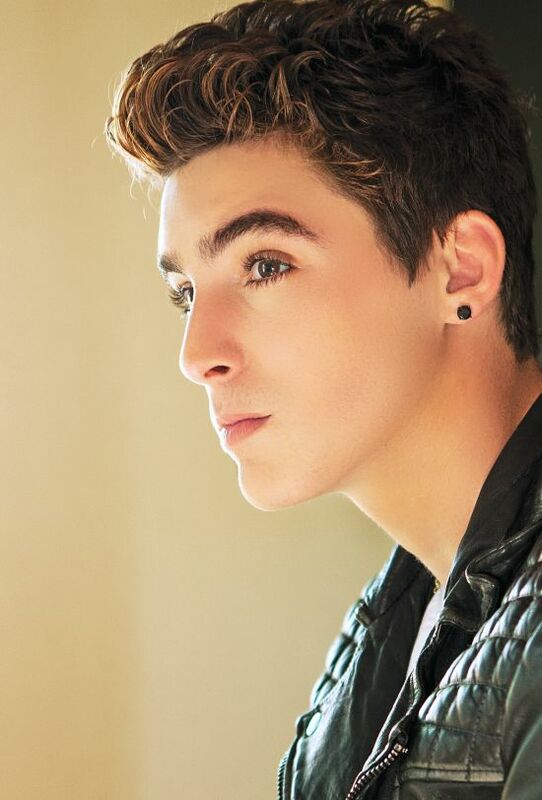 Make no mistake about it, Jackson Guthy is the future, and he’s only begun accomplishing his goals.